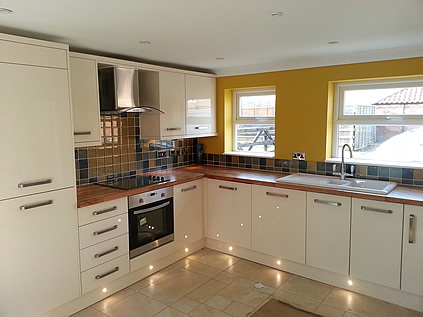 We are able to supply kitchens, to suit a range of budgets and offer a complete service through to completion of installation including full electrical and gas work as well as tiling, carried out by qualified and certified tradesmen. We are able to supply you with a quotation for a kitchen from a wide selection including traditional and contemporary styles. If you have already chosen or purchased your new kitchen we are happy to provide you with a quotation for the fitting alone.